Socializing with other users has been a trend for past few years and it is not going to go away. Having an anonymous public chat application where we can communicate within a group, put forth our opinions without the fear of leaking our identity could be a great boon to many users. 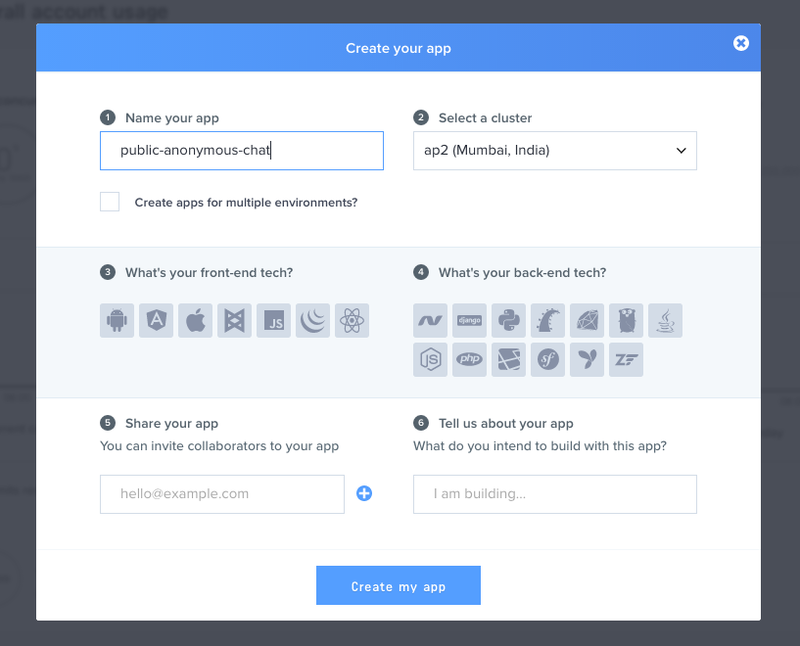 Today, we will create a realtime Public Anonymous Group Chat App using Laravel and Pusher. With the release of Echo, Laravel has provided an out of the box solution for implementing a realtime chat application using event broadcasting. It is quite simple to get started in a matter of few minutes. We need to sign up on Pusher and create a new app. We will implement a feature wherein a user can anonymously chat with other users. The core feature is to let the users chat without revealing their identity. It being a public chat room, any user visiting the page would be able to chat with other users without the need of any authentication. Next, we will record each message entry into a database. A random username will be assigned to the message from an array of anonymous usernames. As we can see, a random username is assigned to both the comments in the above results. The event should implement a broadcastOn method. This method should return the channels to which the event will be broadcast. Now, whenever a new message is recorded, it is broadcast over Pusher. Next, we listen to that channel and push the new conversations to our conversations array in our Vue component. In this article, we have demonstrated how to build an anonymous chat app with Laravel and Vue.js. We have covered the configuration options necessary to get started, and the examples above should help you fill in the gaps and give an overview of some of the other configuration options available to you.